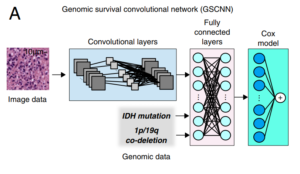 Researchers at Northwestern and Emory Universities recently developed a deep learning algorithm that improves the accuracy of brain cancer prognosis. The study, recently published in Proceedings of the National Academy of Sciences, says the neural network’s predictions were more accurate than those made by highly specialized doctors who undergo years of training for the same purpose. The two methods currently in use to predict life expectancy, genomic tests and microscopic examination of tissue, provide physicians with vasts amount of data but they are largely subjective and the prognostication can differ from doctor to doctor. For patients diagnosed with glioma, a deadly form of a brain tumor, life expectancy can range from within two years to 10 years or more. Such a large range creates many challenges for physicians and the treatment options they offer. “Genomics have significantly improved how we diagnose and treat gliomas, but microscopic examination remains subjective. 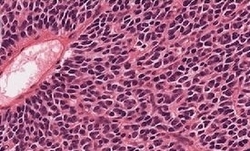 There are large opportunities for more systematic and clinically meaningful data extraction using computational approaches,” said Dr. Daniel J. Brat, chair of pathology at Northwestern University Feinberg School of Medicine, and a lead researcher on the study, told Northwestern Now. Using microscopic images of brain tumor tissue samples and genomic data, the researchers trained their neural network on NVIDIA P100 GPUs with the cuDNN-accelerated TensorFlow deep learning framework. 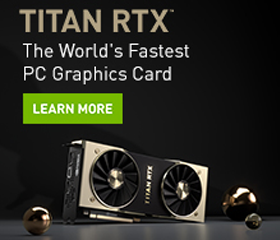 The GPUs are also used for inference since the images contain billions of pixels and need the computation power to predict thousands, in order to help a pathologist visualize a single sample. A hybrid architecture was developed to combine histology image and genomic data to make integrated predictions of patient survival. The researchers say their methods are not specific to histology imaging or cancer applications and could be adapted to other medical imaging modalities and biomedical applications.